Have you seen solar panels on buildings and wondering how they work? Solar panels are becoming popular in most homes as they help in tapping solar energy. This is an effective way of getting energy, without polluting the environment. Through the solar panels, you can be able to convert the energy from the sun to electric current. Home solar panels are ideal for all the heating requirements that you may have in your home and they are easy to install. There is also the advantage of most models having very little requirement for maintenance. There is a common misconception that solar panels will only work in the summer, when the sun is shining. This far from the truth as they can work even in winter, where there is no sign of sunlight. If you choose to use them for production of electricity, in your home, they are quite effective. You can change the position of the solar panels as you would please so as to maximize on the solar energy. These panels can either be mounted on the roof or placed on the ground, depending on your preference. 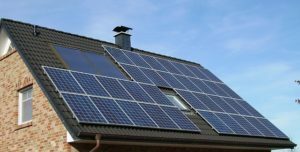 How Much Do Home Solar Panels Cost? The cost of home solar panels has significantly reduced in recent times. 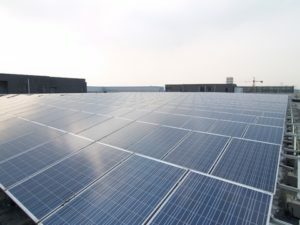 You can find different brands, which offer solar panels at competitive rates. When it comes to the cost factor, all you need to think of is buying the equipment and the installation costs. There are licensed contractors who have specialized in the installation of home solar panels. Once you have them installed, there will be no cost that will be associated with the energy that you receive. Solar panels have been rated as the best option for tapping solar energy for residential use. The basic and most fundamental question is to audit your energy needs. This means that you will review the energy consumption levels in your home and choose which parts of the home you would want to have solar energy work. For instance, you can choose to have it as the source of energy for heating water or just use it to provide electricity. You will also need to consider the place where you live and how much sunlight you are able to receive. This will be used in determining where the solar panels will be installed. Solar panels are designed to work with high voltage systems, but recent models are also using battery systems. When you choose to work with a battery system, you will need a controller such that you will be able to conserve the energy that is passed on from the solar panel, to the battery. There is so much that you can reap from the home solar panels and all you have to do is find a reputable contractor to install it for you. There are different types of panels, and it is important to consult the experts before buying any specific one.